Read on for some things to consider, questions to ask, and tips and tricks to maximize your impact at each and every event. We're loving the pop-up movement and all of the opportunities its created to connect and market, but what should makers be looking for to be sure things don't go wrong? Who is hosting the event and why? 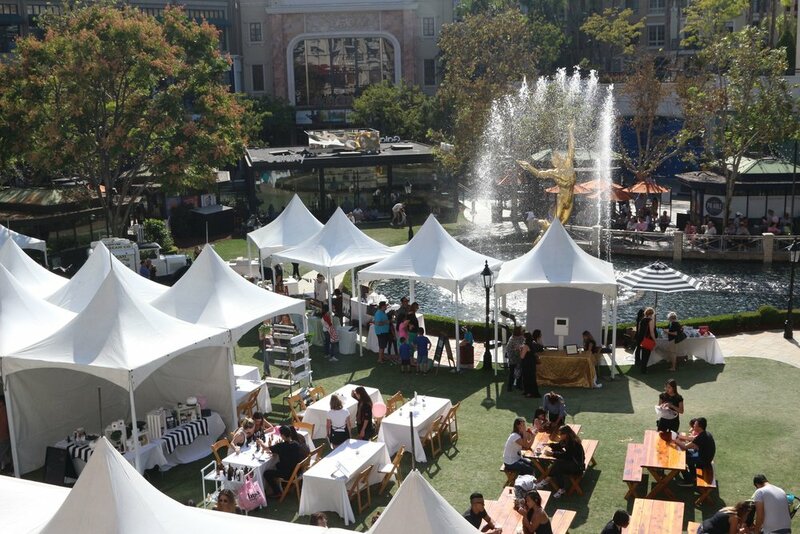 From charity events to in-store pop-ups to private employee shopping events, there's lots of reasons to host a pop-up. Asking yourself and the organizer WHY the pop-up is being planned and who the target audience is can often help gauge if it will align with your goals and connect you with the right consumer for your brand. For example, an in store pop-up may be geared at driving traffic to the store, or creating an amenity for loyal buyers, while a charity event may be geared at connecting with potential donors, or raising money. Knowing what the organizers are trying to achieve will help you to assess if the event will draw the right consumer, have the right vibe, how best to prepare for the event, and the type of outcome to expect – sales or marketing. Is there a community or political agenda? This can be a tough one to discern, but we've seen lots of events recently geared at raising awareness or community support for specific agendas, some of which can be polarizing and can lead to some unexpected negative associations for you and your brand. When you're invited to an event you by an individual, community organization or group you haven't worked with in this capacity before, we recommend doing a little googling to ensure you're in the right hands. Recently, some of our area makers have found themselves in the crosshairs of a couple of hot button community issues in the Pasadena/Altadena area and a number of events have been hosted to rally the community in one way or another. Participating in these events could easily project values onto your brand that you hadn't intended, without you even realizing it! Often situations like this will have some online or local news coverage, so a quick google search yielded some very telling information about the agendas of those involved. We always recommend staying current on local issues in the areas you frequently sell in and doing some research when you're unfamiliar with an area, a host or an agenda. This can keep you from bringing the wrong merchandise for the area, and participating in a potentially brand-hazardous event. How is the event being marketed? Are you expected to help market? Knowing how an event is being marketed (social media, online or print ads, posters and cards, email marketing, etc.) helps you to know how the intended consumer is being reached (read: how to best connect with the same audience in the future!) and how you can best support the efforts of the event. Is there a Facebook event? Mark yourself as "interested" or "going" to help boost the algorithm and share it to let your audience know they can find you there! Share the event – but don't create your own and dilute engagement. Are there graphics you can include in your regular emails or social media posts? What about hashtags? Ask for them and share away. If they have none, don't be shy about asking for permission to create some of your own. One of the most common things we hear from event partners is that they expect the burden of marketing an event to fall equally on the shoulders of the vendors and the venue/organizer. Knowing this is the prevailing thinking, be ready to market the event and your participation at least two times – once before and once after the event – and be sure to tag the organizers/venue and fellow makers in each social media post or include them on your email list to ensure they see your hard work. The rising tide raises all ships! Where? No one like surprises. Look for the details and ask questions! Is this a location attendees are familiar with? Is there consistent traffic without the event? Is it indoors or outdoors? Tablespace? Retail shelving? Pop-up tent? When? Is this a day or time that is typically well trafficked? Or, is the intent to utilize a lighter day or time to drive traffic or ensure the event feels special? That's important to know. Why? This is KEY to your success and ensuring you're getting the most out of any event you do. Knowing if the event is geared at celebrating a holiday or product launch, creating an amenity, driving traffic, thanking frequent shoppers, or raising awareness or money for a movement changes the intent and the expectations of an attendee. Always hone in on the WHY, be sure it aligns with your own agenda, and prepare accordingly! How? How will YOU capture and continue to connect with consumers? How will you measure ROI? E-mail subscribers? Social media? Discount codes and business cards? Your goal at every event you do should include connecting with the consumer in a deep, meaningful, and continued way – regardless of whether they purchase from you at the event. Come prepared to capture your consumer's attention and create a long term relationship with them via email, social media, shopping online, and any other channels you have to leverage.